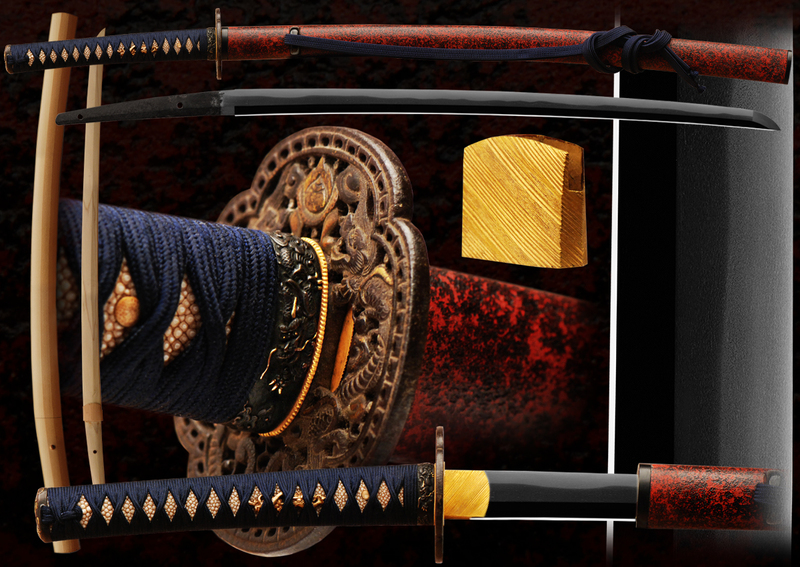 A beautifully mounted uchikatana. It appears ubu with 2 mekugi-ana possibly from the late muromachi era. This sword measures 23 7/8” most likely for a one handed sword style. The hamon has a thick nioi guchi peppered with ara nie. It is a lively combination of suguha with a slight notare. 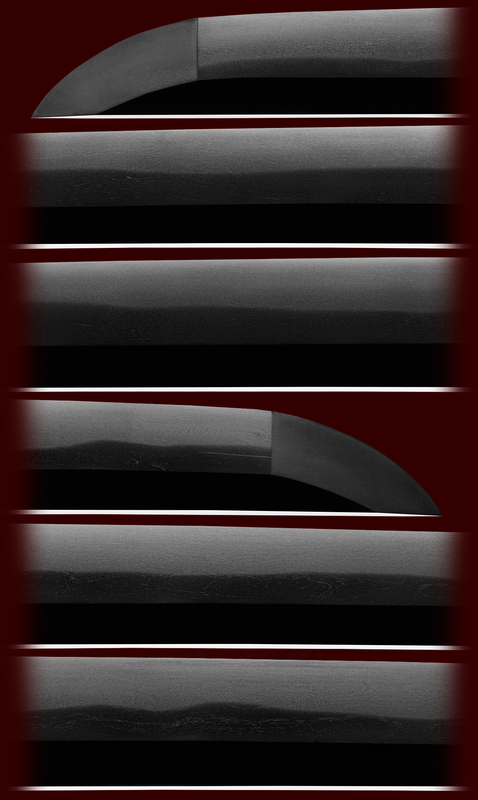 This sword is just slightly under a Katana size and has a gentle curvature. The hada is itame with some mokume. A gorgeous sword in hand mounted to enjoy. The koshirae is ensuite with a matching dragon theme. The tsuba is of dragons in the nanbamtetsu style. A beautiful gold washed striated habaki with matching dragon themed fuchi/kashira. Large gold washed dragon menuki on old same with dark blue ito wrapping. The saya is a brilliant red finished in a stone texture lacquer. There is a dark blue Sageo to match the wrap. A Great sized sword just under Katana length fully dressed! This would be a great sword to submit to shinsa some day. Email us if your interested in this item and remember to include the order number for this item: fss-625.